A stoneware box of oval form and with straight sides, supported on a flat base. The slightly domed cover is decorated in high relief with two figures seated under a flowering pine tree in a garden with rocks and trellis. The two figures are both dressed in orange-red long robes and ochre colour long trousers. The sides of the box are painted with plain bands in red and white pigments against the greyish stoneware body. The base and interior are plain. 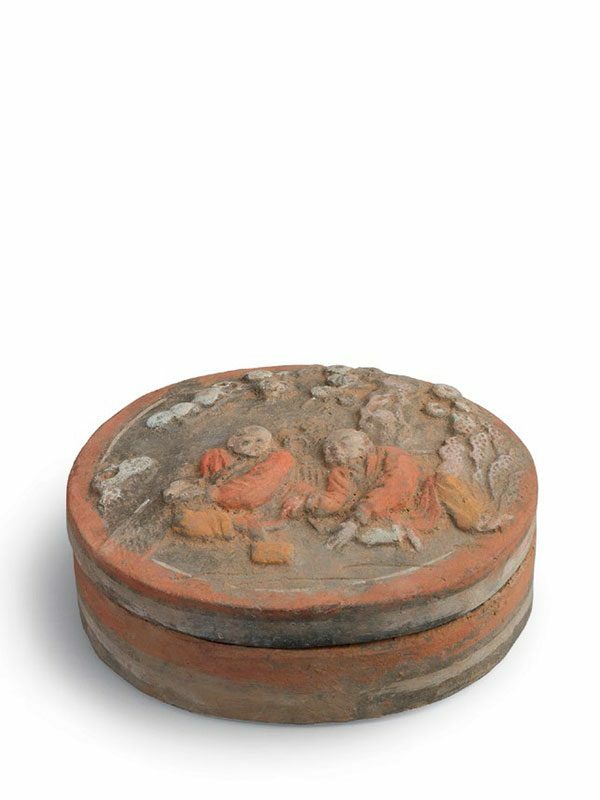 This unusual stoneware box is the only known example of the period, to our knowledge. 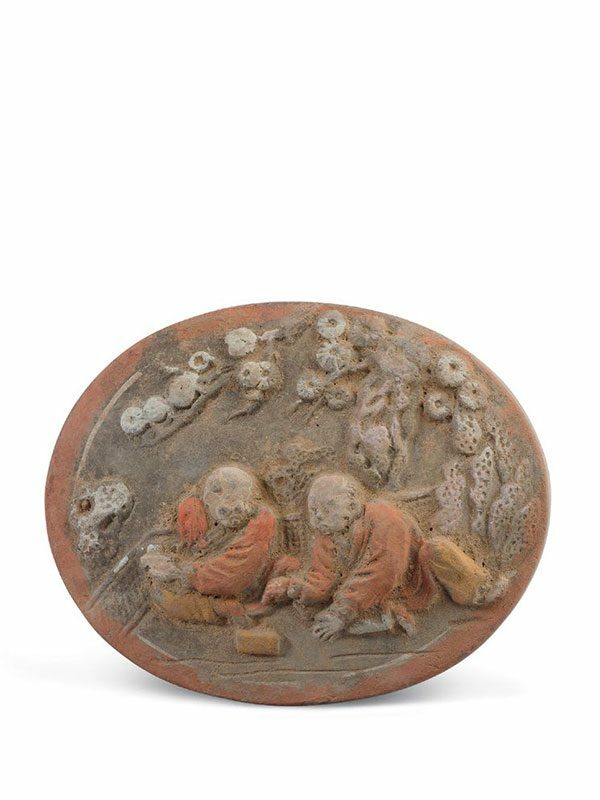 The high relief decoration on the cover, done by moulding and carving, preserves fine details. The box is painted in colourful pigments. The painted decoration on the sides is reminiscent of Han-dynasty lacquer wares, which are normally adorned with bright red and white paints over black lacquer.